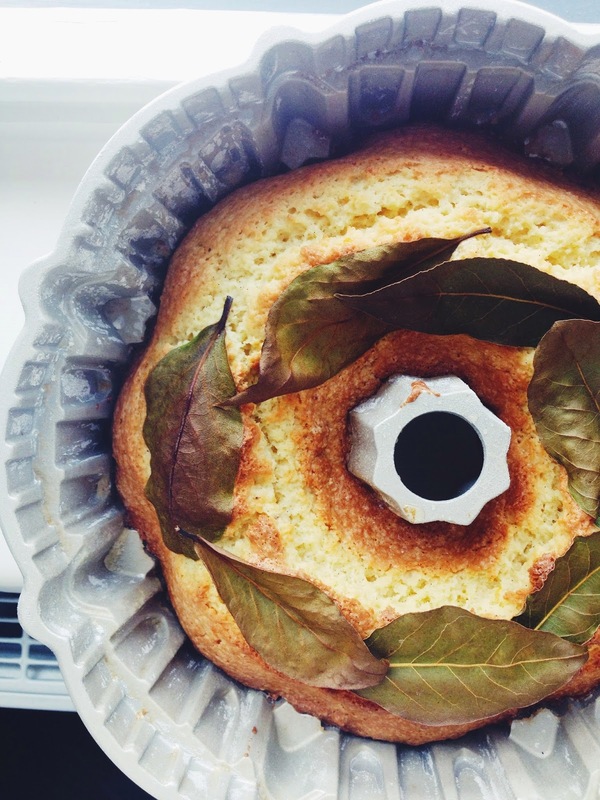 Or should I call it Bae Leaf Pound Cake? Anyone? No? Everyone else may be over the bae phenomenon, but I most certainly am not. I think the appearance of the word bae in our vernacular was, quite possibly, the single greatest linguistic advent in my lifetime. Now this may seem like an exaggeration to you, but I find 'bae' slipping into my conversations at the very least a handful of times a day. It's my favorite of endearment. It's tender. It's sweet. And it suits all of my best baes perfectly. 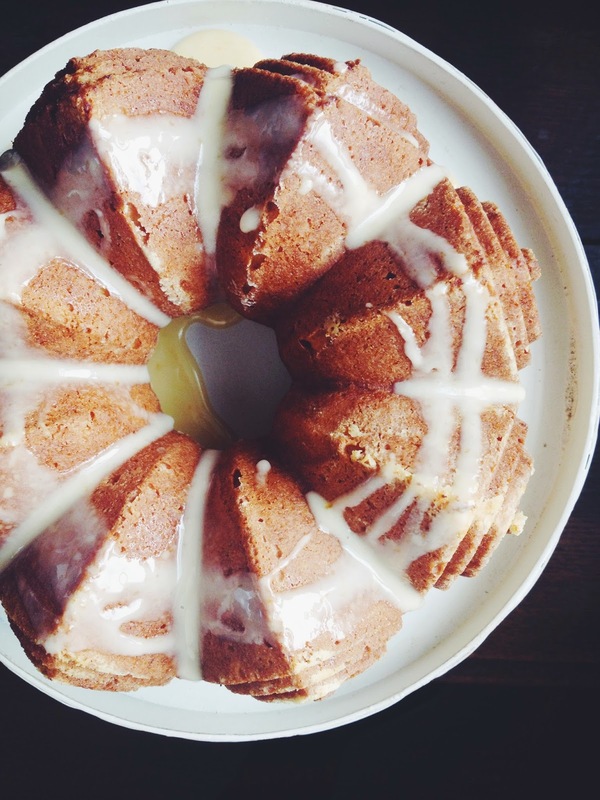 Just like this pound cake. Bay leaf isn't usually the first flavor that comes to mind when you think sweets, but please don't relegate it to the realm of ragù and lentil soup. 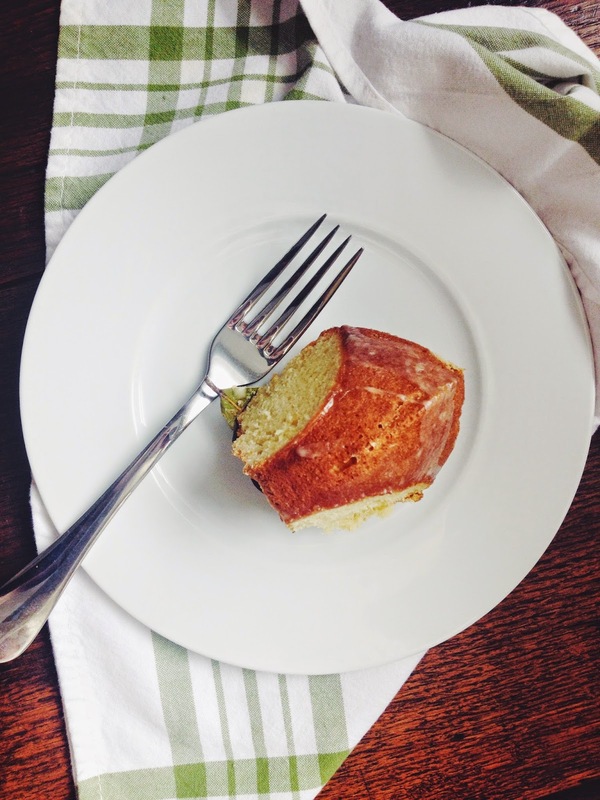 It brings an earthy, herbal quality to this pound cake that indulges my penchant for desserts that taste like soap. The moist, tender crumb studded with vanilla beans becomes hearty and complex with the addition of bay leaves, and the richness is cut by the tart clementine glaze. So I implore you. Make this cake now. And make it before bae (bay) leaves. Preheat oven to 350. Thoroughly grease bundt pan or loaf pan, dust with flour, then tap out excess. In a small saucepan set over low, heat butter until melted. Place bay leaves in melted butter and leave to steep for one hour. Meanwhile, in a large bowl, whisk together flour, sugar, baking powder, and salt. In a small bowl, whisk together mascarpone, eggs, zest, and vanilla beans. Once butter has steeped for an hour, whisk into mascarpone mixture. Make a well in dry ingredients and pour wet ingredients in. Gently stir in wet ingredients in a figure-8 motion, careful not to over-mix. Spread batter evenly in prepared baking dish. 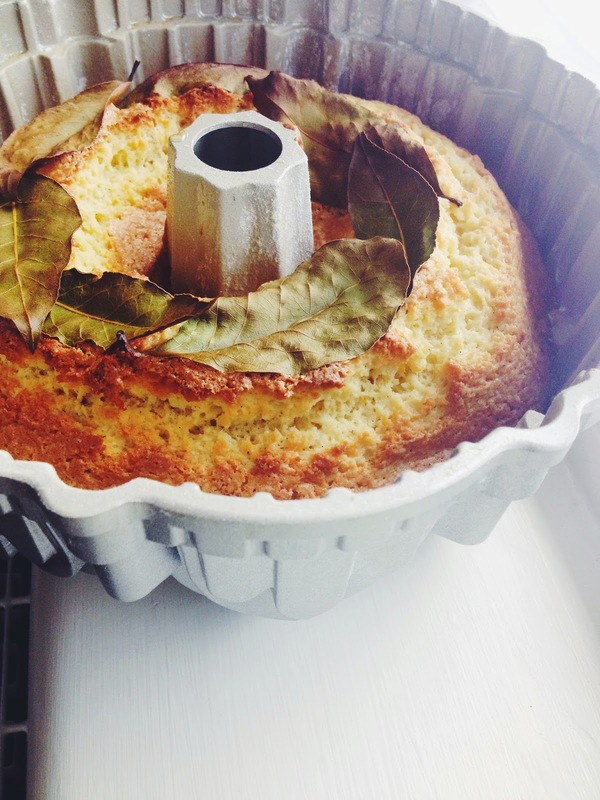 Lay extra bay leaves over top of the batter in any pattern you choose. Place in oven for 35-40 minutes, until top is golden brown and firm to the touch and a knife inserted in the center comes out clean. Let cool on a wire rack for 10 minutes. 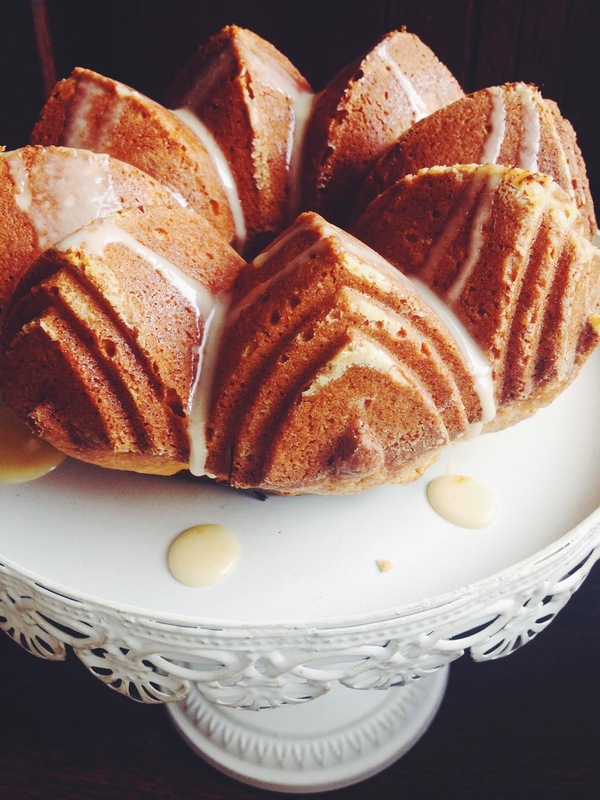 While cake is cooling, in a small bowl, whisk together powdered sugar, clementine juice, and Grand Mariner. Once cake has cooled, remove from pan and drizzle with glaze.